Animals which have an internal nerve cord protected by a bony vertebral column are called Vertebrates. They include Fish, Amphibians, Reptiles, Birds, Monotremes, Marsupials and Mammals. 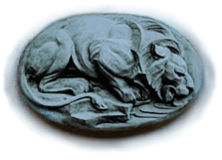 These animals are assigned to the subphylum Vertebrata within the phylum Chordata. 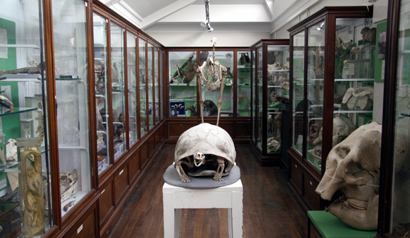 During 1996 and 1997, the vertebrate specimens housed in the Museum Gallery were redisplayed by Zoology Honours Students. In December 1997, the Gallery was named in honour of Aubrey Manning, Professor of Natural History (1973-1997). Many of the vertebrate specimens from the Collections are illustrated and described here in web pages created by Zoology Honours Students. The diversity of approaches to website creation reflects the interests of the individuals who made the pages.